Elegance and practicality: it is just a matter of leather. 1- The full grain leather, which has the advantage of being able to show their original surface as it was in nature, while keeping intact the flower (also called “pore”). 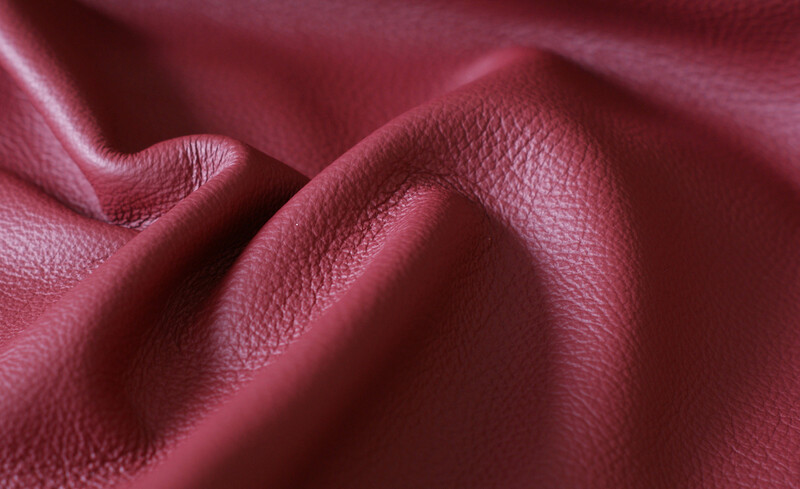 2- The protected grain leather, characterized by an area protected and available in numerous variants. What makes them different? There are raw, in a game that cannot boast of the title Full grain: for natural imperfections such as deep wrinkles or burn marks. In this case, the hides are subjected to certain processes, such as grinding that evens out the surface and thus provides a wide range of products. The protected grain leather is resistant to abrasion, tearing, bending, light and rubbing. It ‘made with dyes passersby and finished water with resins and pigments. It has a soft hand, a silky touch and a dull appearance. –Dallas, Cowhide from Europe, chrome tanned, with a thickness of 1.4 / 1.5 cm and with a surface grain highlighted. Maintenance requires a few simple steps: Wash with a mixture of mild soap and water and dry with a clean, dry cloth. –Myia, Cowhide from Europe, chrome tanned, with a thickness of 1.4 / 1.6 cm and with a coarse surface. It ‘just dust it regularly with a clean white cloth, dry and non-abrasive. 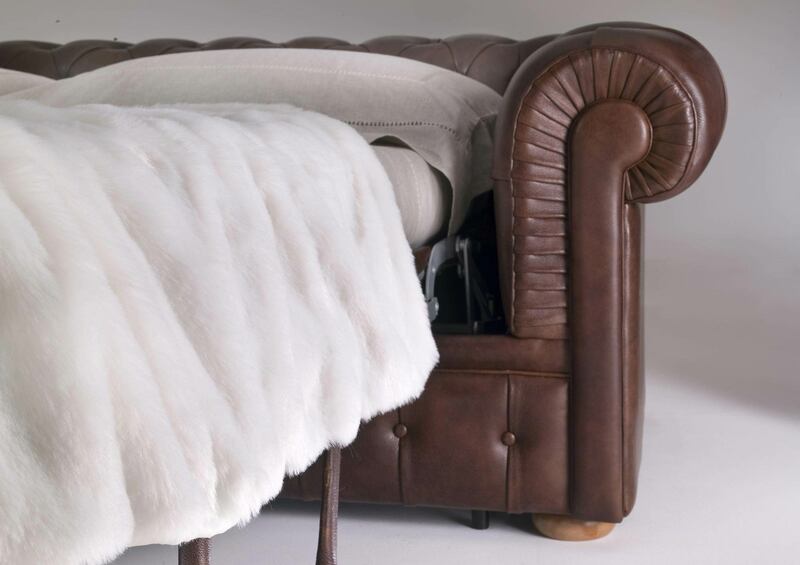 The Chester sofa bed is made of protected leather Dallas dark brown. The pronounced grain and soft touch make it suitable for coating a sofa volumes pronounced and perfect for the traditional tufted. We have chosen to create a corner extremely refined as sleeping area, high quality, that makes breathing an elegant ambience of yesteryear. The sofa bed Chester has a wooden frame covered with polyurethane foam, mesh with elastic belts for seat, seat cushions filled with polyurethane foam and wooden feet. 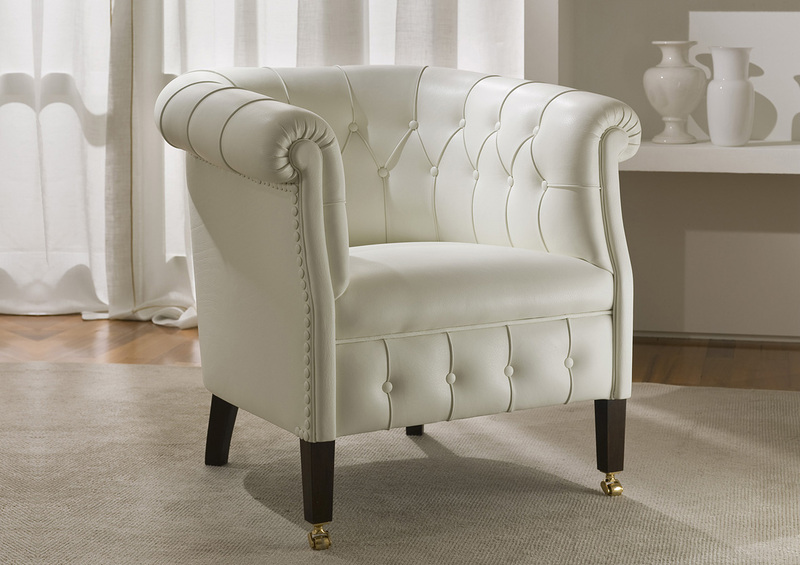 The Londra chair is made entirely by hand in the upholstery tailoring of Meda. Moreover ‘covered in protected leather art. Mya colored iris. 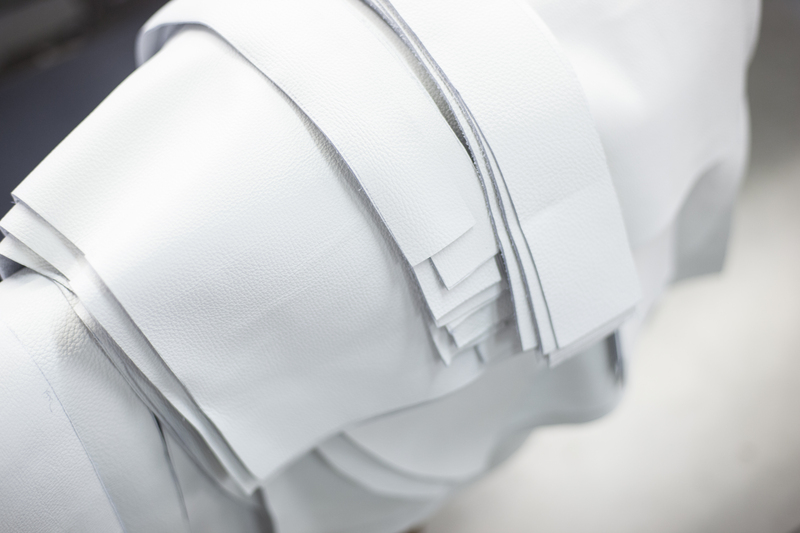 Due to its strength and to special processing that makes it protected from the absorption of dust, liquids and odors, is still the most practical of the fabric, especially in cases where the upholstery is not removable. It ‘also a great choice for those with allergies, because the mites do not penetrate into the texture of the fabric but remain on the surface, as explained by the videopillola No. 18 #WhyBertO. For this reason, the chair Londra is a perfect complement for the bedroom. It has a solid wood frame, seat with steel springs, cushions in goose down and feet in wood with wheels brass finish. Every sofa, bed, chair or sofa bed in the collection Berto is feasible even in the different variations of grain leather. Come to our fine upholstery laboratory in Meda and choose from the Berto Collection of high quality fabrics and full-grain leathers. Luigi, a Berto master artisan, is ready to demonstrate the cutting process and speak about ways to decorate your home with “practical elegance”!